Right here, right before your very eyes, we have the opportunity for you to save money when purchasing some tech-based hardware that should make an immediate impact in your life from a convenience perspective. Check out these iClever accessory savings and see if anything piques your interest. The deals that you are about to see are limited-time only, which means that the associated discount codes will only last for a pre-determined amount of time. Make sure that you are one of the ones who manage to capture these products at this price-point so that you don’t miss out. In fact, where the cables are concerned, it’s probably worthwhile gobbling up a few packs at this price. This is definitely not going to be the most exciting piece of hardware that you welcome into your life but it is definitely something that most of us would gain a fair amount of use from. This hardware offers 3 AC socket outlets with overload protection and Smart ID technology. It offers high-speed charging via its USB ports in order to get devices up and running as quickly as possible. 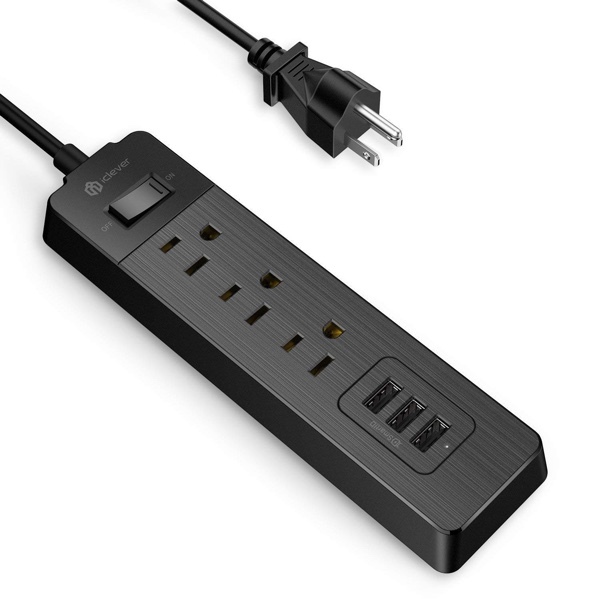 There is also a 6-foot extension cord that comes with this powerful accessory meaning that it should be good to be used in almost any area of the home. Cablers aren’t exactly mind-blowingly exciting but they are definitely necessary. 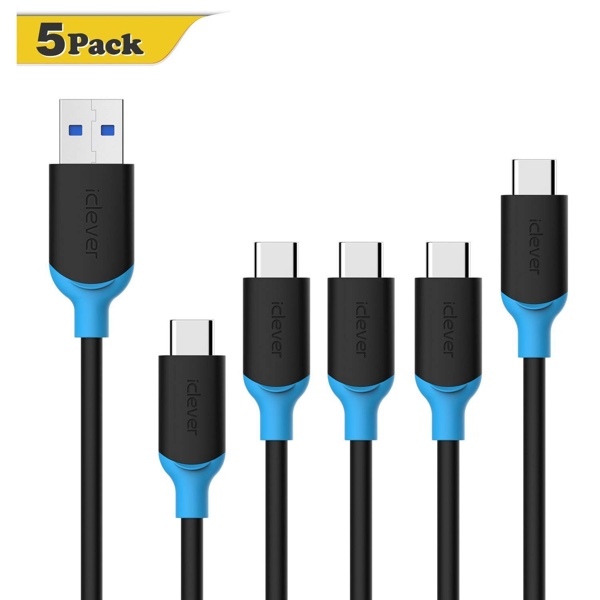 So, if you have multiple USB-C devices, then this wonderful iClever 5-pack of cables offering varying lengths is definitely going to stand out from the crowd. With some cables, you may pay $12 just for one. With this pack, you’re going to get 5 individual cables for that same amount of money. They come with premium TPE housing material to ensure longevity. They offer a rapid charging experience to get more power into your device quicker than with other cables. You’re also going to be able to immediately benefit from the fact that you have 5 different lengths here.